eThekwini Water & Sanitation, a part of Durban Municipality in South Africa, has been named the 2014 winner of the Stockholm Industry Water Award, for its transformative and inclusive approach to providing water and sanitation services. “This recognition reflects the work of our whole team over the past 22 years and is a tremendous honour for all of us here in Durban,” says Neil Macleod, head of eThekwini Water and Sanitation. 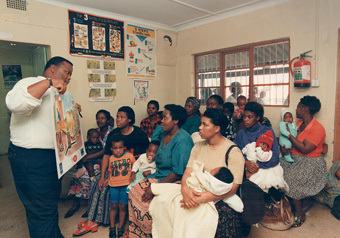 South Africa’s constitution from 1996, praised as a model for inclusion of social rights, enshrined the human right to water. Local government was tasked with putting it into practice. Soon after, Durban, one of the country’s main urban centres, expanded its administrative boundaries to include 3.5 million people, some of them living in poorly serviced rural areas with huge water and sanitation challenges. The eThekwini municipality decided to face these challenges head-on. In the past 14 years, 1.3 million additional people in greater Durban have been connected to piped water and 700,000 people have been provided with access to toilets. In respecting the constitutional right to water while maintaining financial sustainability, access to basic water supply and sanitation is provided at no cost to poor families, while higher levels of service and consumption are charged at full cost. 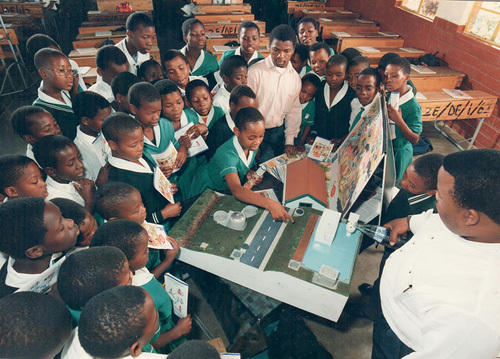 EWS Community Education: Photo Credit: eThekwini Water and SanitationIn addition to successfully providing basic services to a large and diverse population, eThekwini Water and Sanitation is at the forefront of exploring technical and social solutions. One example is a mini hydro-power project: instead of using pressure reducing valves in pipes running down steep hillsides, the company is installing mini turbines using the excess pressure to generate electricity for the city’s low tension grid. The eThekwini municipality is also pioneering solutions to convert urban wastewater challenges to agricultural opportunities as well as harvesting rainwater. The combined result is one of the most progressive utilities in the world, according to the Stockholm International Water Institute (available at www.siwi.org). The open approach to experimenting and piloting new solutions across both technical and social aspects of service delivery has made eThekwini a forerunner in the world of utility-run services. “eThekwini has championed the approach to provide sufficient water to sustain human life, as expressed in the South African constitution, now embedded in national policy. The methods used and results achieved by eThekwini Water and Sanitation serve as a sterling example for the many communities worldwide facing similar challenges,” states the Stockholm Industry Water Award (SIWA) jury in its citation. 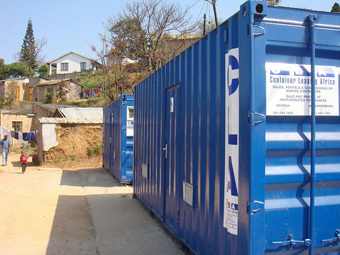 Water and Sanitation unit of eThekwini Municipality was established in 1992. It manages the water and sanitation services for the 3.5 million people living in the Durban area, and has worked with some of the world’s major actors and knowledge hubs in water and sanitation as well as development. These include the Bill and Melinda Gates Foundation, the World Bank, the University of KwaZulu-Natal, Borda, Eawag, and DHI. Its methods have been replicated across the country and region, and eThekwini representatives are successfully sharing and disseminating their findings and working methods. The Stockholm Industry Water Award (SIWA) was established in 2000 to stimulate and celebrate outstanding and transformative water achievements by companies in improving production, managing risks, finding solutions and contributing to wise water management. The Royal Swedish Academy of Engineering Sciences (IVA) and the World Business Council for Sustainable Development (WBCSD) were partners in establishing the award, which is also supported by International Water Association (IWA) and World Wild Fund for Nature (WWF). This news is from the Stockholm International Water Institute, 28 May 2014. This article was published on the Horizon International Solutions Site on 30 May 2014. Part One of the Series of Articles, entitled “Realizing Water, Sanitation and Hygiene for All,” focuses on the background of the problem, what it means for nearly half the people of the developing world who lack adequate sanitation and hygiene. The article is available at http://www.solutions-site.org/node/1255.